Lizzy provides immediate visability into all departments of your business. Having the ability to run over 100 real-time reports gives great benefits to your management, employees, time, and business. Since Lizzy is completely integrated, there is no need to enter information to generate a report. You simply choose what type of report you would like to see. 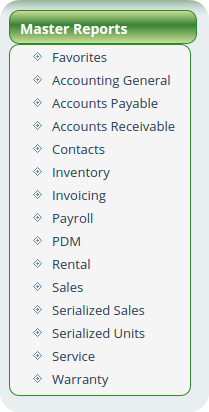 You can even customize Lizzy to remember your most used reports as favorites, just a click away.